This line comes from a magnificent poem called Finisterre. It was written by David Whyte, a poet, speaker and healer of souls. I heard him speak not long after I had abandoned my own shoes. Finisterre is about pilgrimage: the ancient road to Santiago de Compostelo and the village that lies beyond, perched at the end of the world. It’s a poem about journeys, impossibilities and redemption. You too can come to the end of the earth and walk on water. All writers start out on the same road. For some, the writing alone is enough. Writing is good. It cleans the blood and opens the pores. You can feel more when you write. For years, I wrote and then I stopped. I felt too much. The moth emerges from its chrysalis to become a butterfly; I only wanted to crawl back inside and hide. It’s easy to do. You fill your calendar with things to do, right away, more and more and more. Doing is easier than feeling. Doing makes you tired at night. It makes you tumble into bed and fall into a black sleep. No dreams. No writing. None of us can live for long like that. You have to break out of that chrysalis or it will crush you. It almost happened to me. But I was lucky to escape those golden bonds that I had woven around myself. I began to write once more. Silence is the theme that haunts me. The inability to speak, the shame of being heard. It’s a theme that crops up in all my writing, consciously or not. And still I struggle every day to speak, to say something meaningful, words that could only come from my heart. I have an out-sized bulletin board that serves as my mind map. It’s an actual map of Shanghai, blown up many times over. I use it to follow my characters through the streets of Shanghai for the 4 novels I hope will someday comprise The Shanghai Quartet. 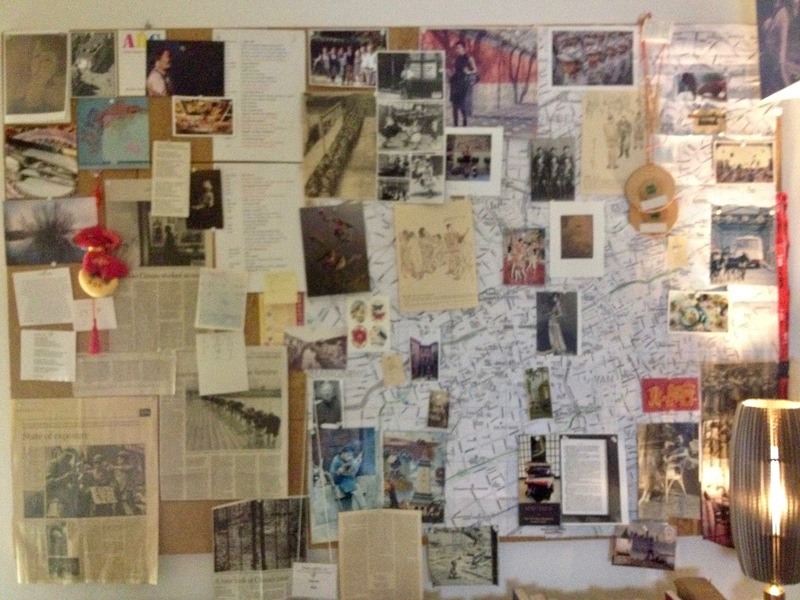 My mind map bristles with photos, old and new, newspaper clippings and bits of artwork. Anything that sparked my imagination when I first saw the city of my dreams and might again. Finisterre hangs on my bulletin board to remind me to let go. To dare to walk on water. 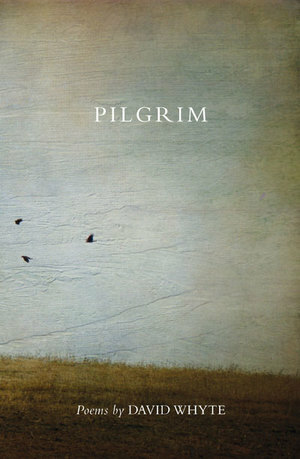 Finisterre is from the collection Pilgrim by David Whyte. Originally posted on 2 November 2016. Last edited on 15 March 2018.